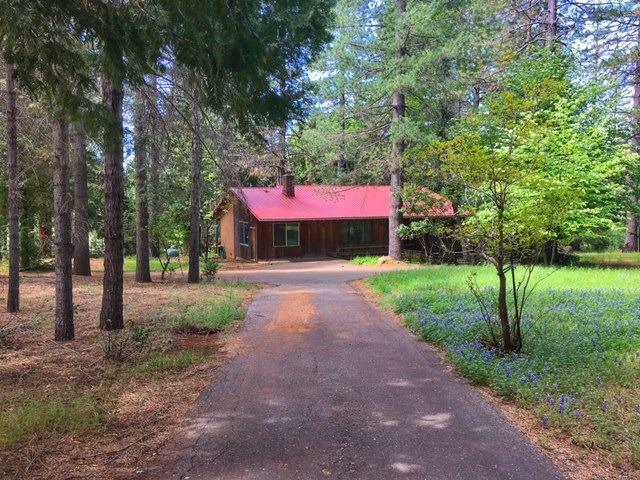 This 2/2 home sits back from the road on its own private, paved driveway. Located on 6.37 flat, usable acres. Prime horse property is fenced and cross fenced. Peaceful meadow and forest views off the back deck. Property has a barn, 2 outbuildings and covered RV parking. Located a short distance from lakes, rivers, hiking, fishing and skiing. Daffodil Hill and the historic town of Volcano are just minutes away.